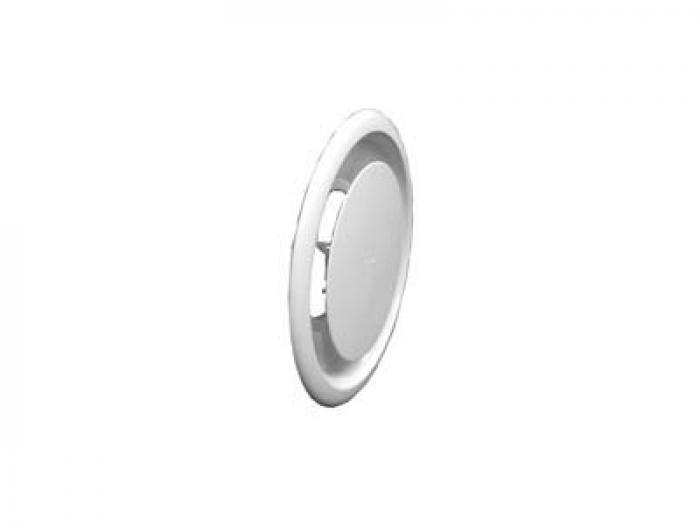 High capacity plaque diffuser with low sound levels, for large spaces where adjustment is required only during installation and balancing. Available in form 1 only. Discharge is adjustable from horizontal to vertical with one intermediate setting. Standard finish is electrocoat acrylic baked enamel. Other finishes are available upon request. Standard color is #11 bright white. Other colors are available upon request. When specifying damper for sizes 28-38, use radial deflector damper model KXNA (p. A430).